Nintendo has released its Q2 financial results covering the first six months of this year, and the outcome's largely positive. Overall sales are up in comparison to last year, which can be put down to improvements in hardware sales for both Wii U and 3DS, the continuing popularity of amiibo and, of course, sales of major games. 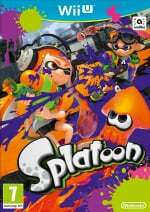 In announcing its results Nintendo confirmed that two more first-party games have joined the million seller club (Splatoon did so in Q1); these are as follows, with the numbers correct as of 30th September 2015. The overall lists for game sales on each system have also been updated, showing the continuing accumulation for some titles. As of 30th September 2015 these are the top-selling games on Wii U and 3DS, globally. It's worth noting that these figures include hardware bundles and eShop downloads in addition to standard boxed copies. There aren't too many surprises there, with notable numbers to us being the individual and combined sales of Super Smash Bros., emphasizing the IP's value to Nintendo. Let us know what you think of these sales in the comments - do any of these results surprise you? I should point out that those are the top selling 1st party games. Include 3rd party and Monster Hunter 4 and 4 Ultimate would be included. Granted, this is coming from Nintendo's IR site, so yeah. The difference between sales in Japan and the rest of the world is striking. Both with Happy Home Designer and Super Mario Maker. Thanks for the news, I'm always interested in this sort of stuff. Still curious as to what the global hardware total of Wii U units will be as of the 30th of September. @ghostjoshu I don't find those spin-offs bad. I think the likes of Metroid Prime: Federation Force and Animal Crossing amiibo Festival (but this one did it wrong with having a board game; they could make other modes for Animal Crossing to make it using amiibo in a different way) have potential, and fans are not open-minded about them. And they are not even made by the people who usually make main series games (Next Level Games makes Metroid Prime and Ndcube makes Animal Crossing), so you shouldn't complain about that. The animal crossing team made happy home designer (I think). I really like those Splatoon numbers. @IceClimbers I only found out last week that Japan got like 5 or 6 other WiiU monster hunter games on the WiiU. That's crazy isn't it? We only got the port. Wonder if capcom would ever port a few of them over to the west on WiiU or maybe on NX just as a 'lets see' download only kinda thing. I am surprised to see that Dark Moon sold so well and I can only hope that it opens the door for a possible sequel. A new IP on a failed system is hitting 2.5 million. Thats quite an achievement. Glad the game was recieved so well. I own none of the top selling 3DS games. Also, Pokemon beats Mario for 3DS......shocking seeing as how Mario always dominates in terms of sales! @Splatburst None of the Yo-Kai Watch games have hit a combined 3.8 million units, if Media Create physical sales and Famitsu digital sales are to be trusted. The third version of YW2 is counted separately. I'd agree with Monster Hunter 4 Ultimate, though. It's confirmed to be ahead of Ocarina of Time 3D, and maybe even Monster Hunter 4 ended up pulling that achievement off. So you're saying I'm wrong to say Yokai individual games failed to hit a million in Japan alone? I've got all those 3DS games besides Tomodachi Life, which my girlfriend has. I've got all those Wii U games besides Wii Party U. Still don't get sent special download code for Triforce Heroes! Looks like Nintendo are piping hot with Mario and Luigi. Without them, Nintendo would be plumbing the depths of dis-pair. Doomed. @Artwark They were million sellers, but have not sold better than OoT3D which has sold over 3 million copies. @Splatburst Oh, sorry. Nintendo doesn't normally put out figures for third-party published titles. What I meant was that they probably didn't clear the top ten. There was a confusion. I'm replying to IC in regards to MH4U being a 3rd party million seller. And I said Yokai too. With only a tenth of the console sales of the Wii, Mario Kart 8 still has a fifth of the Mario Kart Wii sales. It's THAT essential a title. What's gold to Nintendo is natually that every player will have to buy a copy of their own on the 3DS, whereas the Wii U game potentially can be shared by a large group of friends. Nintendo Land must have really benefitted from pack-in. NOBODY talks about that game any more, yet it's the #2 all-time Wii U best seller. @Pod put another way, Mario Kart 8 has a whopping 54 percent attach rate. That's almost unheard of for a non-pack-in game. Had anyone noticed that the best-selling PS4 games aren't even half the numbers for the top 5 best-selling Wii U games? Wow! Had no idea Spatoon has been this successful so far. I'm glad, it was one of those rare games that felt like an instant classic just from playing the first testfire. It gave fans confidence it would do well. There were naysayers up to release predicting W101 type sales. the initial sales even surprised the late mr iwata. Hopefully, this gives Nintendo encouragement to experiment with big releases. Wow. I own every game on both lists except Wii Party U. I guess I really am a Nintendo fanboy. @edhe I noticed that too, but then I had to consider the fact that HHD came out in Japan 2 months before the rest of the world, but I see Japan staying in the lead. Mario Maker is a more interesting piece of info, since that game was release more or less simultaneously around the world, but the # of Wii U's in japan is half that of america's, where as the 3DS remains number 1 constantly. So it's not too shocking if we think about those factors. but it's nonetheless true, but it makes me wonder why the other 46% haven't jumped on board! Makes you wonder why Nintendo didnt even bother to release a main Pokemon game on the Wii U. Sheesh. Man, Luigi's Mansion sold nicely! Ok Nintendo, let's have a new home console game in the series! You can go ahead and give us a port of the arcade game too, if you want. But we need a new one! These are amazing numbers for Nintendo. Only Nintendo can sell this much no matter the platform. Yeah that is crazy. There are tons of 3DS owners who have not picked up a Wii-U yet. A Pokémon game would have pulled in a bunch of them. I think they should have just done a remake of Pokémon Yellow for Wii-U, since it is the one where Pikachu is following you around like in the anime. Of course no one will ever understand, while looking at the capabilities of the Wii-U gamepad, why Nintendo and GameFreak did not make a new Pokémon Snap for Wii-U! That seems like the biggest "no-brainer" of all time. Are there anything wrong with my eyes? Wii Party U got over 1 million sales? Luigi U got over 1 million sales? @Blastcorp64 The insane complexity of Wonderful 101's gameplay turned it into a niche game. I don't know what numbers did they expect but it was a commercial suicide from the start. People couldn't even tell what was the genre of the game from the trailer. Well at least this awesome game exists but I doubt we'll see anything else like that game in the future. The actual industry is way too formated now to give total freedom to a crazy guy like Kamiya. @Dpishere was going to post the same thing. Fantastic game. It is dreadful to see Wii Party U there. What an awful game! I hope it didn't outsell Pikmin 3 or Tropical Freeze. I'd even prefer to see Mario Party 10 ahead of it. This is only correct if you look at PS4 exclusives. Sales of some multiplat titles on the PS4 are above the best selling Wii U titles. I don't like to talk about NX, but imagine a main Pokémon game at launch (implying it's a hybrid console). It will sell like nothing else. Glad to see Splatoon doing well and it will most likely do well during the next couple of months too. Didn't expect to see Dark Moon sell over 4 million. Nice. As long as the 3DS base is still active in buying software, there is no need to rush out a successor. 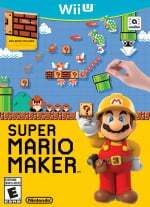 I am so happy Mario Maker is selling well! To sell 1.9 million in such a short amount of time is great! @SuperWiiU Do you not own a 3DS? I would recommend at least Luigi's Mansion. Super Smash Bros. for Wii U was successful but it didn't become the system seller some people here said it would be. 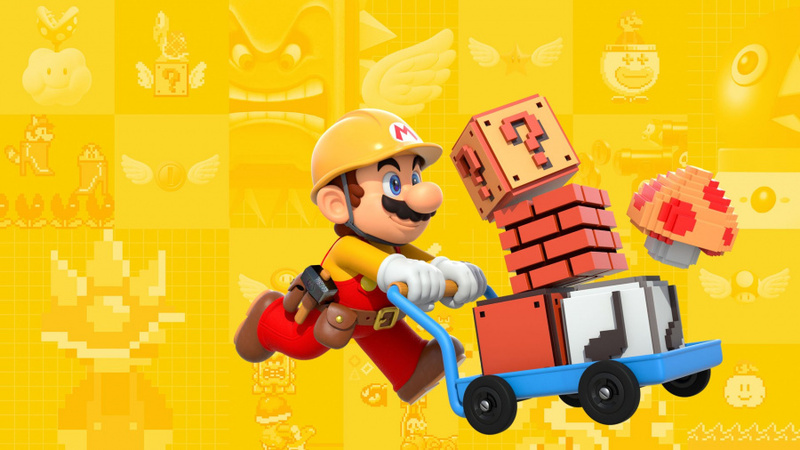 The list doesn't surprise me, but I think Super Mario Maker will keep on selling well for the months to come. Is that the closest a 3D Mario has ever come to a 2D Mario on a single Nintendo console? That's a real success for Super Mario World 3D or a real failure for NSMBU. With such a low installed base with Wii U it's hard to tell. Now I want to see amiibo attach rates to each game release. We'll probably never see those, but I think it's a big part of how Nintendo has remained profitable. @Sinister That's because it's not a failed system. Dang it Pikmin3 isn't there yet? @amiiboacid But it is. It got perhaps 1 more year if we are lucky 2. The GCN is considered a failure by many and the WiiU sold about half of that by now. I highly doubt the WiiU will ever reach those numbers. Well, just expected details. But it's great to see updated Splatoon and SMM number! I own all but two of these games! You're welcome Nintendo. Honestly I'm impressed that the Wii U has two games with an attach rate of one in two! Even if one was a pack in game for a while that is super impressive. It really speaks to the quality of the console, even if it's not selling the quantity we might hope. Nice to know It's ashame Wii U's sales are low Just as expected though. I'm not saying they are bad, but look at the numbers compared to top selling 3ds games.